Home for Sale In Warner Robins, GA? Are You Ready for the Sign? 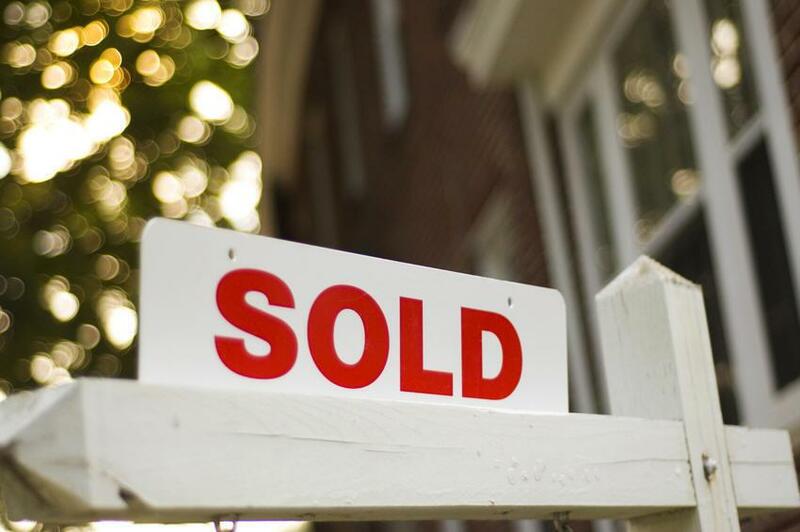 It is almost March, and that means the busy season for real estate is upon us! If you are planning to put your house on the market, here are some tips for getting your house ready to sell. And of course, I can come to your home to do a complimentary assessment of your property and provide you with a customized list of things to do to prepare for the installation of the “For Sale” sign in your yard! When getting your home ready to sell, you need to look at your house in a new way. Think of your house as a product about to go on the market where it is probably competing with brand new housing. It needs to show well–which means clutter-free and well kept. Today’s home buyers lead busy lives and may not be interested in taking on major repairs or improvements upon moving in. You need to make your house a “10”. The following information will help you spot what is right and what is not so good about your “product”. It will give you the opportunity to take the necessary corrective action to ensure your house looks fresh, clean and well maintained when the “for sale” sign goes up. A serious buyer may want to have a professional home inspector check your house from top to bottom before making an offer. Even though this guide will help you identify problems on your own, the option of hiring a professional home inspector is an option to you, as well. If you can afford it, an inspection in advance of putting your home on the market is a good idea. It is your best way of finding and taking care of serious deficiencies before an inspector hired by a potential buyer discovers them. ~Remove any clutter in your yard. ~Repair cracked or uneven driveway or walkway surfaces. ~If your lawn has bald spots, apply some top dressing and re-seed. Prune trees and shrubs of dead wood. Weed and mulch flower beds, if you have them. If it is the right time of year, consider buying some flower-filled planters to enhance the eye appeal of your property. Make sure your lawn is mowed regularly. ~Are your windows and walls clean? ~Does your front door need paint? ~Ensure your eaves and downspouts are clear of debris and in good repair. ~Are your backyard deck and walkways clean? If not, use a power washer and any necessary, painting, staining or sealing. ~If you have a swimming pool, are the deck and pool clean (when in season)? ~Do all outside lights work? Replace any burned out bulbs, and clean fixtures of dirt and cobwebs. ~Is there a shed? Does it look presentable? ~Do the window and exterior door need re-caulking? Even at 6-7 years of age, the caulking may be dried out and in need of replacement. ~Do you have decorative wooden poles on the porch? Is the wood at the bottom in good condition and overall does it need a new coat of paint? ~How does the doorbell look? Is it operable? Is the button cracked? If so, be sure to replace. ~How does the fence look? If it needs to be replaced and/or repaired, go ahead and do it. If you have a gate, is it well oiled? ~Check the general condition of your roof. Sagging sections, curled shingles, pooled water on flat roofs and corrosion on metal roofing mean it is time for repair or replacement. ~Both masonry and metal chimneys need to be straight and structurally sound, have proper capping on top and watertight flashing where they penetrate the roof. ~All roofs undergo stress from snow and rain loads so it is possible a truss or rafter may become damaged, resulting in a noticeable small depression. A professional should do this inexpensive repair. The condition of your exterior walls directly affect the look and curb appeal of your home. ~Replace old caulking. You may have to cut or scrape away old caulking to get a good seal. Do not seal drainage or ventilation gaps. ~Is your exterior paint looking good? If you see faded colors and cracked or peeling surfaces, you need to repaint. Be sure to get competitive bids if you hire professional painters. ~You can clean vinyl siding but defects or damage to it and to metal siding usually means replacement. ~Stucco can be repaired but some skill is required to blend patches with existing stucco. A prospective buyer will usually enter through your front door, so, that is where you should begin your interior inspection. You want your buyer to see a neat, clean, well-lit interior. Get clutter out of sight, ensure that carpets are clean, floors are scrubbed and polished, and that walls and trim show fresh paint (preferably neutral or light colors). Take a sniff. Are there any unpleasant odors in your home? If so, track them down and eliminate them. Ensure all your lights work and are free of cobwebs. You want your home to look spacious, bright and fresh. If you have considerable family memorabilia about, consider thinning it out. Your objective is to help potential buyers feel as if they could live in your home. That mental leap becomes more difficult for them if your house resembles a shrine to you and your family. Professional Realtors® and decorators agree the most important areas of your home to upgrade and modernize are the kitchen and bathrooms. Buyers also want to see new or recently installed floor coverings throughout. ~Check stairs for loose boards, ripped carpeting, and missing or loose handrails and guards. ~Most problems with interior walls are cosmetic and can be repaired with spackling compound and paint. ~Ensure doors open and shut properly. Minor sticking is normal but excessive binding indicates possible structural problems. ~Open and close all windows to ensure they work properly. Fogging between the panes of a sealed window indicates the seal is broken and the unit needs to be replaced. Some types of loans will require this repair, and can be costly. Keep furniture to a minimum so these rooms do not appear smaller than they are. Ensure that traffic can flow in or through these rooms unimpeded. If they contain bookshelves or cabinets overflowing with books, magazines and knick-knacks, remove some of these items. Ensure bedroom closets look spacious, organized and uncluttered. Create space by getting rid of old clothes and junk. Remember to remove or lock away valuables such as: jewelry, coins, currency, cameras, electronics and compact discs. ~People splash water around in the kitchen and bathrooms so check around sinks, tubs and toilets for rotting counter tops and floors. Problems could be due to poor caulking or plumbing leaks. Fogged windows, molds and sweating toilet tanks indicate high humidity levels, which you can remedy with exhaust fans. ~In the kitchen, clean all appliances, including the oven. Clean or replace your greasy stove hood filter. Make sure appliance light bulbs are working. Clean your cabinets inside and out, as well as counter tops and back splashes. Repair dripping faucets. ~Remove anything stored on top of your fridge and remove artwork and magnets. ~Remove any items stored on countertops. It is fine to leave a few things out, but keep it to a minimum. ~Remove excess items stored under the sink. ~In bathrooms, scrub sinks, tubs and toilets, taking care to remove any rust stains. Remove mildew from showers and bathtubs. Fix dripping faucets or trickling toilets, vacuum fan grill. ~Clean mirrors, light switch plates and cupboard handles. ~If you have ceramic tile, ensure grout is clean and intact. Change the filters in the furnace and have it cleaned–this is the number one item purchasers want done after a home inspection. If you have a pet with a litter box, ensure it is clean. Get rid of the broken tools, old car parts, discarded bicycles, empty paint cans and the hundreds of other useless items that accumulate in garages. Again, you want a clutter-free zone. Make sure it is swept out of debris. Use cleaning solutions to remove oil stains from the floor. You have inspected your house and taken care of problems. Now you are ready for showings. You will need a plan of action that assigns duties to each family member so the place can quickly be whipped into shape when an agent wants to show your house! ~Open all drapes, blinds, etc. and turn on lights to make the house bright. ~Air out the house to get rid of cooking, pet odors, etc. ~Pick up clutter, and empty garbage. ~Make sure everything is spotless. ~Make sure all toilets have been flushes. ~Set your thermostat at a comfortable level. ~Turn on some soft, neutral, background music. ~Remove pets from the house or put them outside. ~If you have an agent, leave when the house is being shown. If you are selling it yourself, you need to strike a balance between being helpful and crowding the buyer. ~Do NOT light candles or have an overabundance of “plug-ins” throughout the house. There are a couple reasons: First, many people have strong sensitivities or allergies to various “scents”, and you don’t want them to have to leave quickly due to a headache or sneezing fit. Secondly, some people see this as a means to cover-up an odor. If there is a bad odor, it is best to find out where it is coming from and eliminate the source. ~In poor weather, provide a place for boots, overshoes and umbrellas. ~Display photos of house in summer to show landscaping if selling in winter months. ~For those on a septic system and/or well, leave out inspection and maintenance information.